The symbolism and esoteric significance of the Holy Grail is rooted in Christian mythology but has become inseparable from Celtic mysticism. The connection of Joseph of Arimathea with the Grail legend dates from Robert de Boron's Joseph d'Arimathie (late 12th century) in which Joseph receives the Grail from an apparition of Jesus and sends it with his followers to Great Britain. This story formed the basis for further embellishement and building upon this theme later writers recounted how Joseph used the Grail to catch Christ's blood while interring him and that in Britain he founded a line of guardians to keep it safe. The quest for the Holy Grail makes up an important segment of the Arthurian cycle. 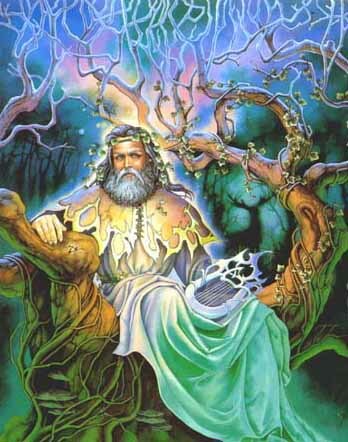 The legend may combine Esoteric Christian Mysticism with a Celtic myth of a cauldron endowed with special powers. 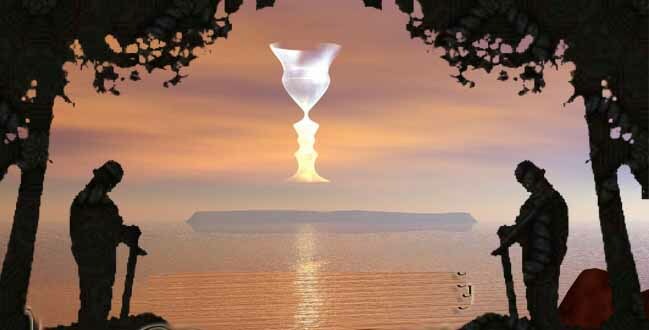 In the poems 'The Spoils of Annwn' accredited to the Welsh bard 'Taliesin' of the sixth-century is a description of a sacred vessel that is sought in the Annwn, the Underworld, by a group of learned mystics, believed to be a vessel akin to the symbolism of the Grail. The development of the Grail legend has been traced in detail by cultural historians: It is a legend which first came together in the form of written romances, deriving perhaps from some pre-Christian mythological hints, in the later 12th and early 13th centuries. 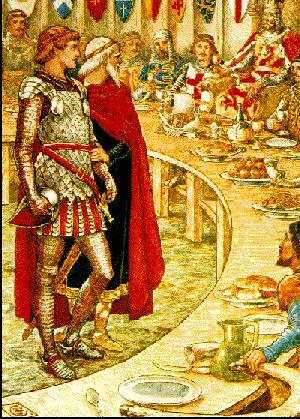 The early Grail romances centered on Percival and were woven into general Arthurian legend.